When training to be a technical diver it is far more important to choose the instructor you want to train with than the agency they certify through. This often leads to technical divers that have training across different agencies and some confusion when crossing from one to another. This Technical Diving Course Comparison should indicate at what level your other agency qualification is recognised by PADI. 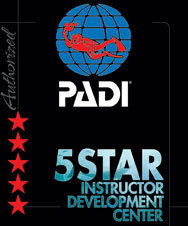 This is a first reference point for crossing over from another certification agency to continue your training with PADI. It is still advised to forward copies of you current training certification record to your PADI Tec Instructor or Instructor Trainer so they can verify you are crossing over at the right level. If you have any questions on crossing over from one agency to another please contact our Tec Instructor Trainer, Kevin Black. The chart below may be used to find the qualifying PADI TecRec diver certification when crossing over from another training organisation. Look for the organisation and the student’s current level at which it qualifies in the PADI TecRec program regimens. x This certification qualifies the student to enrol in the next level of training above the one listed at the top of the column, provided all other prerequisites are met. (+) This certification meets some, but not all of the requirements for the training level listed at the top of the column. Please contact your PADI Office for details and possible options for meeting those requirements (if any). Do you have questions about crossing over to PADI from another training organisation?